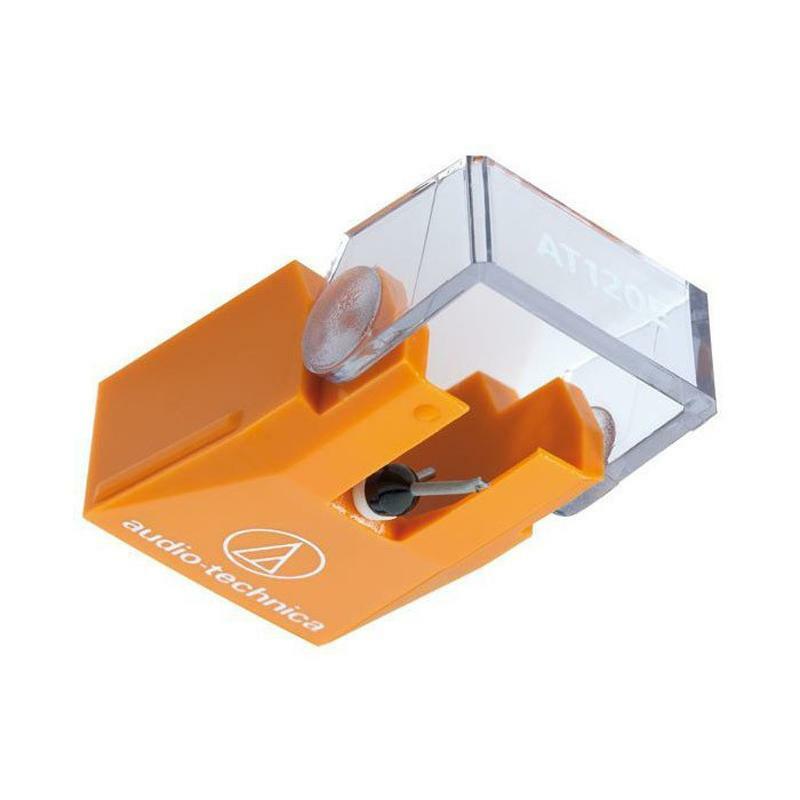 The AT120 features a high dual magnet stylus assembly. It borrows many of the superlative features of Audio Technicas top of the line models. The main difference from the AT125LC is in the stylus assembly, an elliptical stylus on a straight pipe cantilever instead of the tapered pipe. While inheriting the outstanding clarity and minimised crosstalk of its more sophisticated mentors, a special characteristic of the AT120E is its dynamic reproduction.